There is a varied and growing market for LEDs in wearable applications, ranging from head torches and miners’ helmet lamps, through backlighting for head-up and near-to-eye displays, indicators for sports and medical monitoring devices, to fashion accessories and clothing. While LEDs have already become a popular embellishment, like sequins or beads, in fashion garments, they take on a more functional role when incorporated into high visibility outdoor clothing for sportswear and cyclists, transport maintenance crews and emergency service personnel. Market size predictions for wearable technology vary considerably. MarketsandMarkets, for example, forecasts that the global wearable electronics market revenue will increase to $8bn by 2018, with the segment for electronic components in wearables exceeding $6bn by the same time. One of the fastest growing sectors is expected to be wearable electronic textiles. Whatever the wearable application, the critical parameters for LEDs are small size, low power operation, especially for high brightness devices, and ruggedness. Ultra small size and light weight are important when multiple, often multicolour, LEDs need to be built into clothing, ensuring that they do not unnecessarily encumber the wearer. Ultimately, datasheets for LEDs for fabrics and clothing may include features such as ‘sewability’ using conductive thread, or ‘machine-washable’. While energy harvesting from kinetic energy (movement) or body heat, may eventually be developed sufficiently to make wearable devices autonomously powered, batteries are typically required for today’s applications. Thus the lower the power requirement of the LEDs and associated circuitry, the smaller the battery needed and/or the longer it lasts. Battery power is arguably the predominant limiting factor for LEDs in wearable devices. 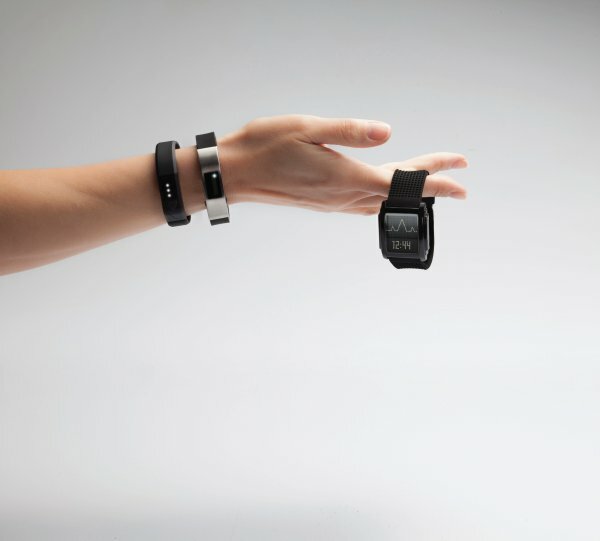 Wristbands, body straps or lightweight clothing will need to exploit coin cell batteries to be practical. However, running multiple LEDs in parallel may be problematic from a single coin cell. Running two coin cells in series may be a solution. Much depends on the choice of LED. A typical 3V coin cell battery might deliver 4 to 9mA. Sourcing LEDs that operate from 3V or less is not difficult. It is the forward current figure that is critical here, as many devices are rated at tens or even hundreds of mA. While resistors can be used as current limiters, they also generate heat. Light output may also be compromised if current is limited. It is worth noting that white and blue LEDs typically have higher forward voltages than other colours. For applications such as protective jackets for cyclists and safety personnel, it is feasible to incorporate multiple AAA or even AA batteries, giving more flexibility in terms of design options and features. For this type of application, and other safety clothing where high brightness is a critical parameter, it is worth bearing in mind that LEDs with the lowest forward current ratings may also feature a correspondingly and unsuitably low light output. While low power, small size and long life are intrinsic features of solid state lighting, cost has been a barrier to the widespread adoption of LEDs in consumer markets. But new technology and material developments, especially those exploiting high volume semiconductor processes, has meant that LED pricing has fallen dramatically in recent years.